A 9-year-old autistic boy got thousands of rainbow photos from complete strangers after both his parents died. Robbie Ecuyer went to live with his aunt, Crystal Skawinski—who later went on social media to ask for photos of rainbows. Robbie’s parents died just 23 days apart—his mother, Shelly Ecuyer, died of gastroparesis and cystic fibrosis on May 2. Then, his dad, Robert Ecuyer, died on May 24 after battling drug addiction, reported People magazine. 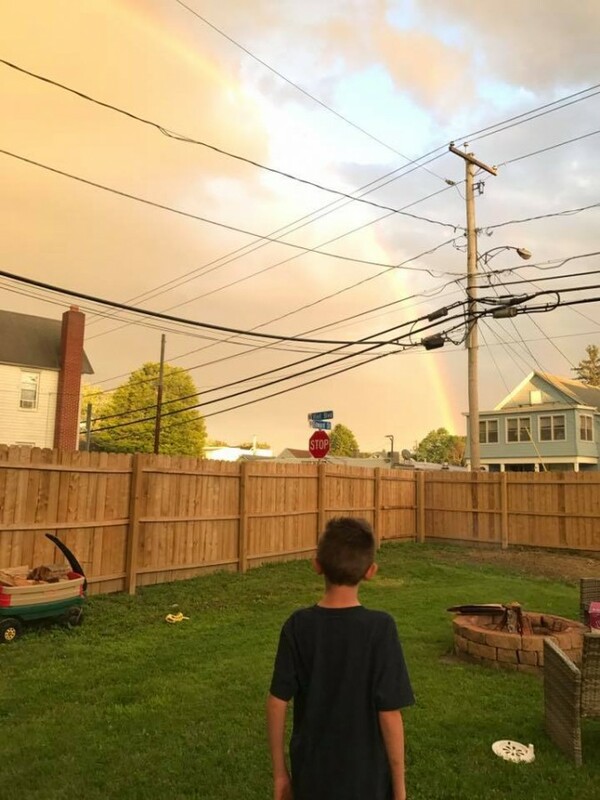 A family member, Erica Toma, sent the boy a picture of a double rainbow that appeared over Robbie’s school. When he saw the photo, he smiled. Robbie, according to GMA, went outside his New York home when it was raining in the hopes that he would see a double rainbow. But it didn’t happen. His aunt then asked for the photos of rainbows to cheer him up. Photos of rainbows and heartwarming messages came in from all over the world, including China, France, Nigeria, and Australia. After getting the photos, Skawinski said she was moved by the kindness. “What I really want people to know is to hold close to the ones you love. No matter what. And the world is FULL of amazing people because in the last few days I have met thousands! Robbie says thank you to everyone and he appreciates every rainbow and thought or prayer that has been sent,” she told inspiring news website Dearly. “I love showing him rainbows so if anyone has any rainbow pics (especially double rainbows) you can always message me or put it in the comments. Then he can see rainbows around the world,” she wrote in a now-viral Facebook post.